located in Oita Prefecture, known for its hot springs. we have set up a user-friendly system so that you don’t have to come to pick a bicycle up and return it afterwards. Our delivery/pick-up service allows you to start riding a bicycle on a spot of your choice and return it on a spot of your choice. You want to wander around on a bicycle, but you find it bothersome to go to a rental shop to pick it up and return it afterwards. You want to take a bicycle trip far from home, but you don’t want to come home on a bike. 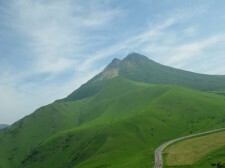 You want do cycle down a long hill while enjoying a view, air, and breeze. You want to check out tourist spots in Beppu, Yufudake, and Oita guidebooks as well as enjoy and discover relatively unknown spots. You ride a bicycle once in a while, don’t have a place for it, and don’t need to buy one. Your bike is not working, so you want a replacement now. You don’t want to go downhill. 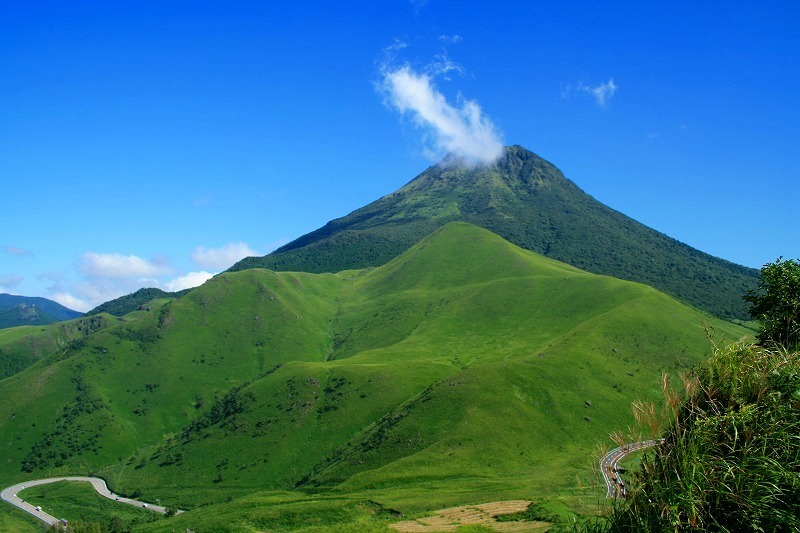 This is a recommended plan for those of you want to visit Beppu and Yufuin. Even though if you are not physically robust, you can enjoy this course as you just need to go down on a bike. 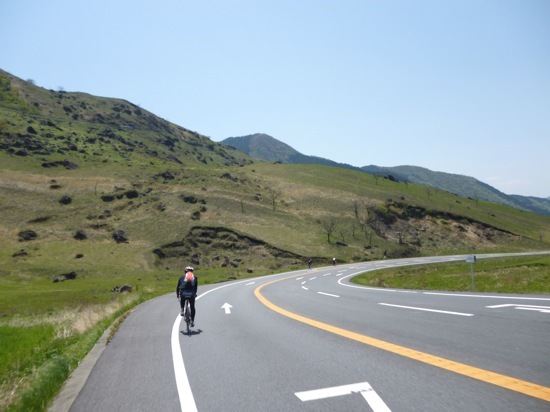 Why don’t you cycle down from Yufudake trailhead, approximately 800 meters, to downtown Yufuin to explore tourist spots going through the vast nature like this? As you watch the gorgeous view of Yufudake, why don’t you come down on a bike from Yufudake trailhead and enjoy tourist spots on the way down such as Kijima Kogen Park, Beppu Ropeway, tour of Hell, and hot springs such as Tetsuwa hot springs? This is a light plan where you come down on a bike from Yufudake trailhead, approximately 800 meters, to near Beppu Inter entrance, 11 km in total. As we can pick you up and drop you off, we can meet you in your home or hotel, a place of your choice. This is a light plan where you come down on a bike from Yufudake trailhead, approximately 800 meters, to Yufuin Station, about 8 km. As we can pick you up and drop you off, we can meet you in your home or hotel, a place of your choice. This homepage was established on March 20, 2014. Feel free to ask an employee for help.We provide interpretation services in 15 languages using a multilingual interpretation call center on August 22,2018.